Creating a Custom Field to measure the Days Since Last Activity will allow you to better monitor the engagement your employees have with Accounts, Contacts, Leads and Opportunities and ensure nothing is left to slip through the net. 2. Click Customize > Select your Object (e.g. 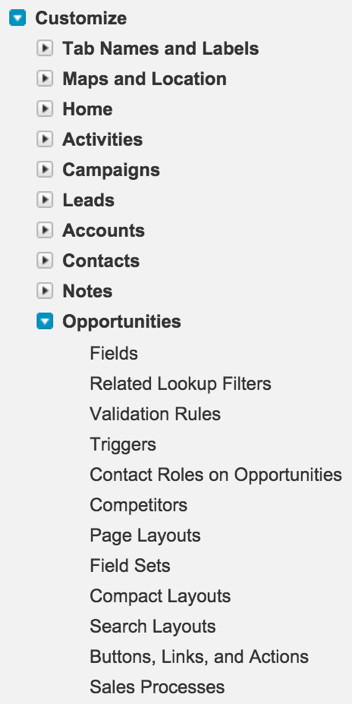 Opportunities) > Fields. 3. Click New to create a Custom Field. 4. Select Formula and click Next. 5. 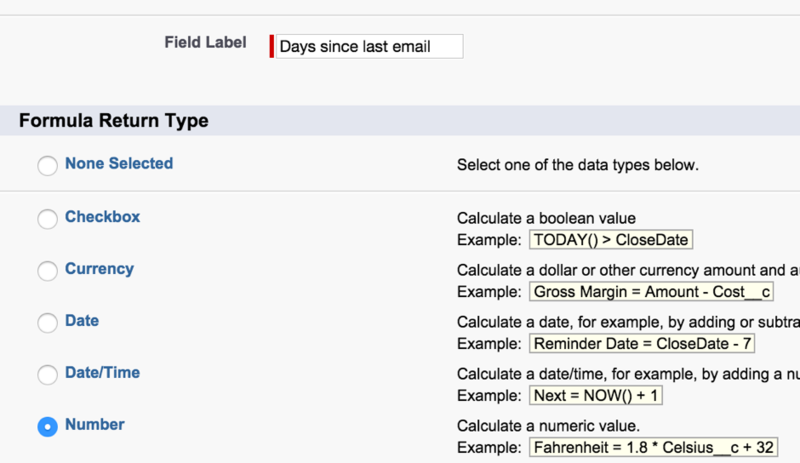 Name the field "Days since last email", select Number and click Next. 7. Click Next for the next couple of pages and then Save on Step 5. Note: You can, if you wish, opt for the Custom Field not to be visible against the Object Page Layout. If this is the case, please ensure the Add Field box is unchecked before you click Save on Step 5.